My friend Samantha, also known as Ms. Smarty Pants, has taken on a wonderful deed for a special child. Her name is Miracle and she is a first grader at Samantha's school. Miracle has been diagnosed with Leukemia. Samantha shared Miracle's story with some fellow bloggers, including myself and put together an amazing collection of 31 activities. 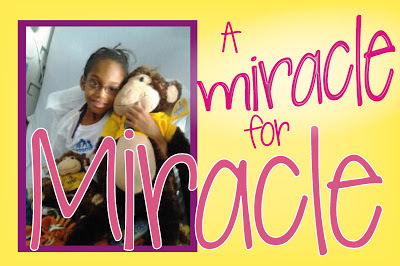 This collection can be yours if you make a $25 donation to help Miracle. Talk about a win/win situation! Head on over to Samantha's blog to donate. Thanks so much!